The Silent League was formed in 2004 in Brooklyn by Justin Russo (then keyboardist for Mercury Rev during the classic Deserter’s Songs/All is Dream era). File 13 released the band’s debut album The Orchestra, Sadly, Has Refused in 2004 to worldwide acclaim. 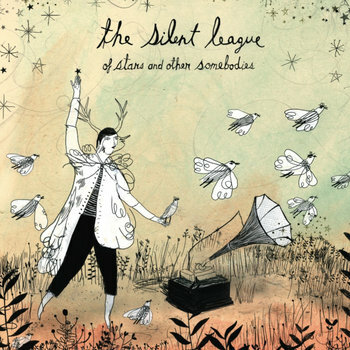 The Silent League has since appeared to be an on-again/off-again relationship between a collective of musicians interested only in periodically making records, playing shows, and disappearing again. This may be true as nobody in New York ever seems quite sure whether or not the band still exists. Their beautiful second album, Of Stars and Other Somebodies was never released in North America -- until now. Lay tracks through the past 5-6 years worth of new music (take Arcade Fire, Interpol, Beirut, St. Vincent, Stars Like Fleas, Bishop Allen…) and you’re going to run over more than a handful of people who began with or spent time creating music under the The Silent League moniker… many of them still do, you just don’t know it.